Would you like a large home? Would you like it situated on a large developed lot? Perhaps you should look at Chemonie Crossing in NE Tallahassee. Fortunately, we have assembled all the current listings and all past sales together to make for a comprehensive way to shop the Chemonie Crossing neighborhood. This neighborhood of 214 multi-acre homesites is almost completely built out with large homes built from 1990 through 2013, and with easy access to downtown from Centerville Road, you can conveniently get where you want to go. 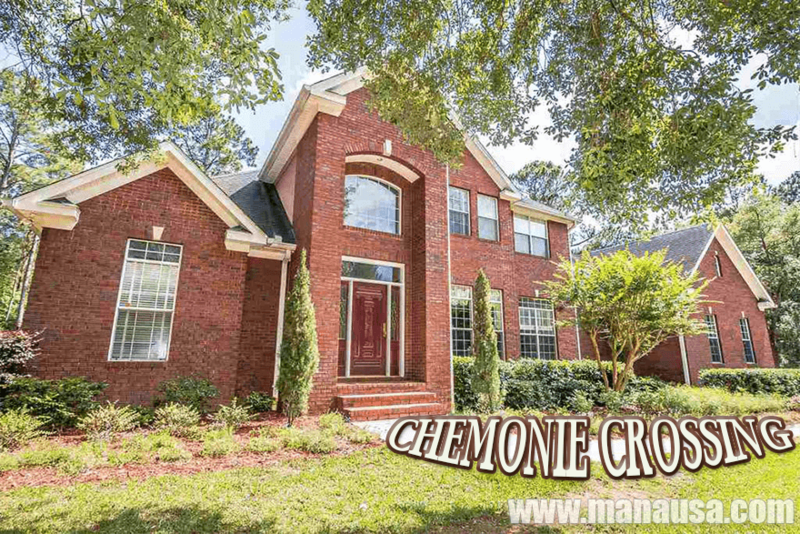 So have a look at home price trends, home value trends, and home size trends in Chemonie Crossing, as well as show current listings in the Tallahassee MLS and all closed home sales going back to 1991. It is important to note that the narrative contained below is for sales through December for all previous years, but through the second week of July in 2016. 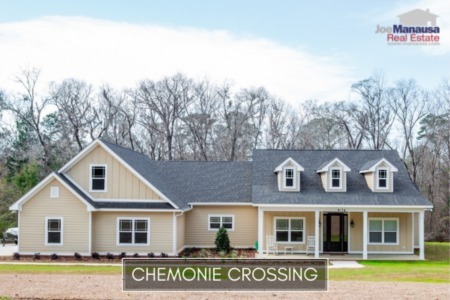 The graphs and the closed sales table will be continuously updated into the future (meaning bookmark this page if you always want to know the current status of homes in Chemonie Crossing. One could look at the average home price graph below and deduce that home prices are plunging in Chemonie Crossing, but that would be a mistake. Due to the varying amenities of homes in this popular NE Tallahassee neighborhood, you have to look at more than just prices to determine real trends for the area. The average price of a home sold in Chemonie Crossing in 2016 has been $283,800, but as you will find in the final two graphs, there is a satisfactory reason that prices are much lower than last year. Home sales activity in 2016 appears to be consistent with what we have seen over the past few years, but it is not too late to see this year break-out and post a ten-year high. 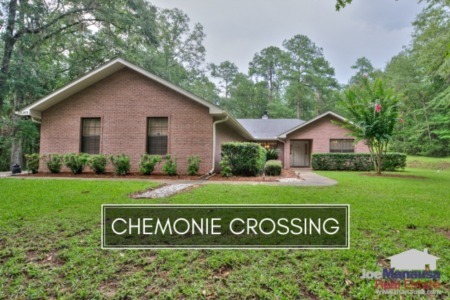 Thus far in 2016, there have been 6 closed home sales in Chemonie Crossing. Average home values continue to move higher, a trend that commenced in 2012. Thus far in 2016, values are up nearly 2% over the average posted in 2015. Through the second week of July, the average value of a home sold in Chemonie Crossing has been $125 per square foot. This is up 51% over the bottom reached in 2012, but still down 17% from the market high set back in 2011. This means that many homeowners who purchased from 2005 through 2011 (or refinanced since 2005) are still struggling to gain equity in their homes. The average home size sold in Chemonie Crossing typically falls in a range of 2,000 to 3,100 square feet, and this year the smaller homes are selling. The 6 sales thus far in 2016 have averaged 2,249 square feet, which explains why average prices have fallen from last year. Smaller houses fetch smaller prices than do larger houses. The real question is will buyers pay the same rates for the larger houses? The following list shows home sales in Chemonie Crossing going back to 1991. I hope you enjoyed our July 2016 update on home sales in Chemonie Crossing, please feel free to drop me a note if you have questions not covered in this report.